My love of squash is real, guys. Pumpkin. Zucchini. Acorn. Butternut. I'll take any and all squash you throw at me, and I'll bake with it, oven roast it, puree it--you name it. But, even better? 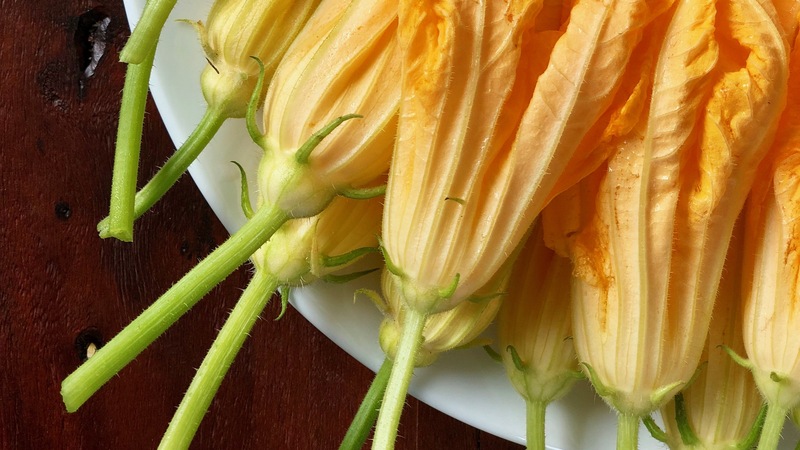 Squash flowers!